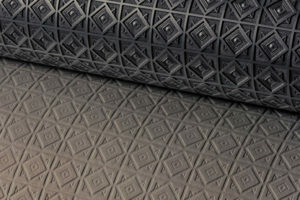 Combining the best of traditional engraving techniques with the most modern laser equipment, our craftsmen achieve lifelike effects for a wide variety of end user materials including: Tissue, Nonwovens, Leather, Vinyl, Film, Metal, Glass, Foil, Paper, Textile and LVT. Through the creative use of both YAG and CO2 lasers, we are continually re-defining the application of laser technology for the converting industry. From the smallest tool to some of the largest production rolls, we can laser engrave cylinders in excess of 36″ diameter and 235″ length. Along with our laser technology, our engravers are continuously adding to our library of stock designs; which we share with all of our affiliates. Combined, we have one of the largest collections of textures in the world. Whether from your design concepts, or modifications of designs in our vast library, IR Engraving can provide endless combinations of two or three-dimensional engraving. We produce any new design our customers may desire, to the most exacting specifications. In addition to rolls, we engrave embossing plates in either stainless or mild steel up to 30′ X 8′ for texturing particleboard and hardboard in designs ranging from deep relief wood grain to geometric patterns. IR Engraving’s applicator roll department fabricates and reconditions rolls to OEM specifications. For print quality, coating accuracy and solvent conservation, our laser, electronically, and mechanically engraved rolls meet the most exacting demands of flexographic and gravure printers and corrugators. Using the latest in plasma spray equipment and techniques, we offer a wide variety of coating materials – monel, nickel, stainless steel, tungsten carbide, and various grades of ceramic from superfine to coarse. IR Engraving manufactures engraved production rolls and plates that impart uniform patterns and engineered applications to a wide spectrum of consumer products. To accommodate today’s fast paced manufacturing environment, we have developed complete digital engraving technologies for efficient use by our customers and designers. 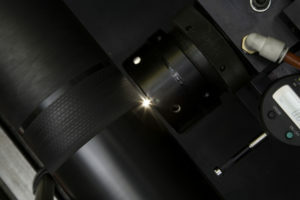 Our techniques enable us to laser engrave into various materials to provide you with embossing, anilox, or gravure cylinders. IR Engraving’s laser capability includes both YAG and CO2 lasers to engrave cylinders in excess of 36″ diameter, 235″ length, and weighing 20,000 pounds.